Detroit News video of Davontae’s words during June 9 press conference. 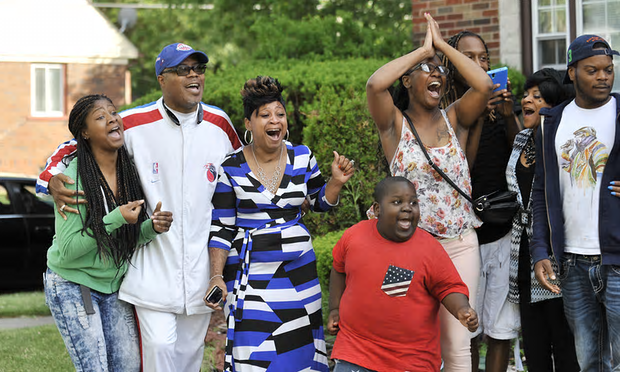 Davontae Sanford (center) beams as his family including (l to r) sisters Dashonda Davis and Lamaze Sanford, mother Taminko Sanford-Tilmon, stepfather Jermaine TIlmon, and Apostle W. J. Rideout III applaud his release. Nephew Ormari Sanford, 5, is in front. All his family, including nephew, have participated in rallies to free him. 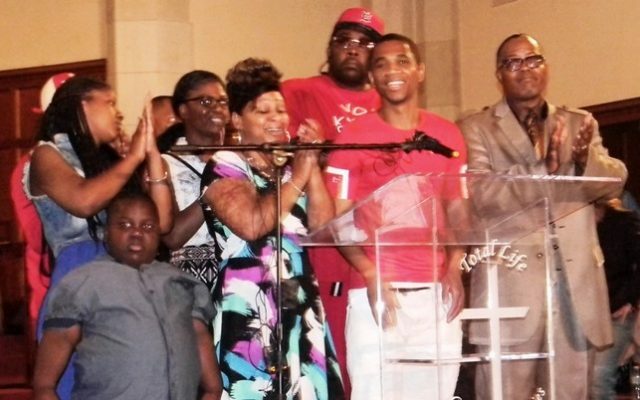 DETROIT – “It’s a great time to be alive,” exulted a beaming Davontae Sanford, 23, gathered on stage with his family for a press conference in Detroit June 9 celebrating his exoneration and release from nine years of wrongful incarceration. Gone was the 14-year-old child Detroit police had duped into confessing to four drug house murders on Runyon Street in 2007, who could barely read and write. 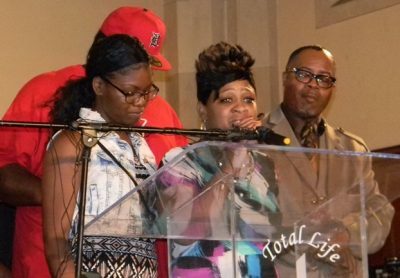 In his place was a mature, composed, articulate, handsome young man who thanked his family, especially his mother, and supporters across the world, while calling attention to the plight of other juveniles still unjustly incarcerated. Vincent Smothers during court hearing. His confession helped free Davontae Sanford. Wayne County Circuit Court Judge Brian Sullivan vacated Sanford’s 37-90 year sentence June 7 and ordered his immediate release. 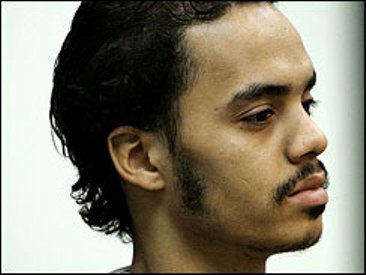 Sullivan first sentenced Sanford on April 4, 2008, two weeks before admitted hit man Vincent Smothers confessed to the Runyon Street murders along with eight other killings, a confession that has been known all along to Wayne County Prosecutor Kym Worthy. Smothers, now serving 50-100 years for eight other murders, has since repeatedly offered to testify to Sanford’s absolute innocence, even waiving his Fifth Amendment rights, despite the danger he faces in prison for naming his accomplice. He was barred by Sullivan and Worthy from doing so during years of post-conviction hearings, until a 2013 appeals court decision ordering Sullivan to allow Smothers or his attorney Gabi Silver, and experts on false confessions, to testify. The Michigan Supreme Court later overturned the Appeals Court ruling. Detroit police investigator Ira Todd. Detroit Police Investigator Ira Todd, who took Smothers’ confession to all 12 murders, sued the Detroit Police Department for demoting him because he would not let Smothers’ confession be buried. Judge Sullivan barred him from testifying during post-conviction hearings. 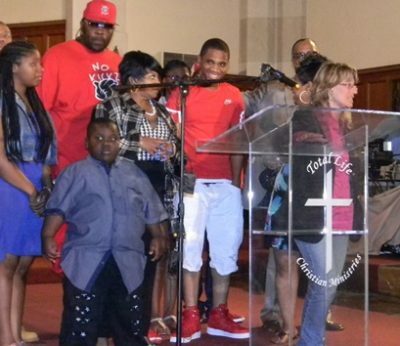 Sanford’s mother and stepfather Taminko Sanford-Tilmon and Jermaine Tilmon, along with his sisters Deshonda Davis and LaMaze Sanford, brother DeShon Davis, and 5-year-old nephew Omari Sanford, flanked him as he spoke. 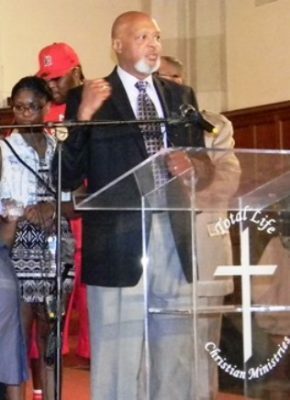 The entire family waged the struggle for his exoneration, holding rallies, prayer breakfasts, and contacting supporters. 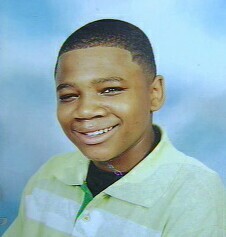 Sanford’s case became a cause celebre across the world. Also on stage were Bishop Daryl Harris of Total Life Ministries, Apostle W.J. Rideout III, family attorney Valerie Lewis, and Swift Justice Initiative producer Bill Proctor. Taminko Sanford-Tilmon speaks June 9, 2016. She thanked numerous supporters including the attorney Newman, Smothers’ attorney Gabi Silver, various members of the media, Roberto Guzman of the Coalition to Free the Wrongfully Convicted, and others. Bill Proctor, formerly a Detroit Channel 7 News investigative reporter, said he was the first to go to the editorial boards of Detroit’s media to tell them the truth about the Runyon Street killings, early on. Bill Proctor. Producer Swift Justice Initiative. About 10 Detroit police Gang Squad officers stood outside the entrance to the Sanford press conference, reportedly because family members of those killed had threatened Sanford. Below are photos of the victims, who Worthy focused on, falsely implying still that Sanford was involved in their deaths. Worthy showed these photos during her press conference, streamed live on every station. She never admitted that the MSP investigation showed that Smothers and Ernest Davis were the real killers. Michael Robinson house on Runyon Street. 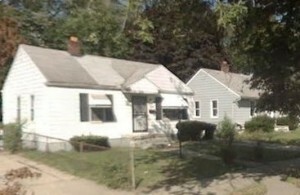 Smothers said in the affidavit, dated March 6, 2015 that he “repeatedly and consistently confessed to the Runyon Street murders for seven years,” to Ira Todd of the Detroit Police Department, Kentucky detectives who were tracking James Davis, the brother of his accomplice Ernest Davis, Michigan State police detectives, his attorney Gabi Silver and defense investigator Linda Borus, in addition to the officers present April 19, 2008. Read his detailed confession at Smothers aff 3 6 13.compressed/. 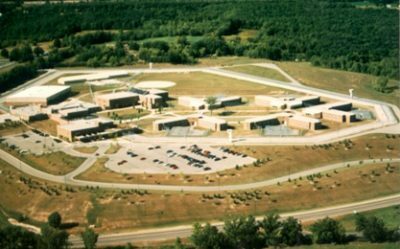 Ionia Maximum Security Prison has been the subject of many brutality complaints by prisoners. Sanford’s time in prison was brutal. 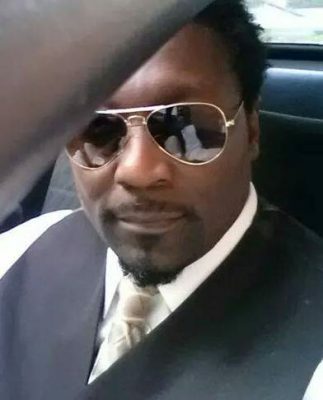 From the age of 15, he spent eight years at Michigan’s Ionia Maximum Correctional Facility, at Level 5, the highest security classification in the state. He spent 23 hours a day in isolation. For part of the time, he was confined to a section that was the subject of a 2014 lawsuit by two prisoners, Michael Robinson and Dayon King, which is still ongoing. 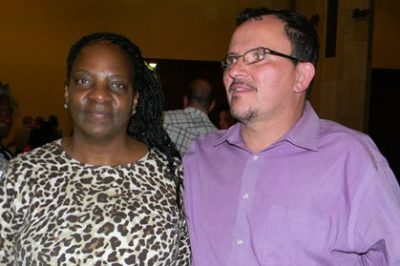 He attended the press conference with a glowing Sherena Cotton, mother of Marvin Cotton. Guzman helped Cotton win a new trial, and his mother said he is expected to have an evidentiary hearing shortly. Attorney Newman said members of the media have been swamping the Sanford-Tilmon household and asked them to keep away to give Davontae and his family time to heal. Worthy contended untruthfully during her press conference that her refusal to withdraw charges against Sanford was backed by every court. However, the Sept. 28, 2013 Appeals Court ruling remanding the case back to Sullivan was scathing, criticizing Sullivan’s ruling that Sanford’s attorney Kim McGinnis had not presented enough evidence to support his claim of innocence in order to overturn his guilty plea. Kym Worthy consults with two APA’s. “The prosecutor’s fairness argument is somewhat disingenuous because the prosecutor could avoid any perceived disadvantage by petitioning for use immunity under MCL 767.6,” the court said. “ . . . .However, the prosecutor’s own unwillingness to request use immunity for Smothers’s testimony, despite the prosecution’s position that Smothers was not involved in the Runyon Street homicides, is the barrier to cross-examination of Smothers.” To view complete ruling, click on http://voiceofdetroit.net/wp-content/uploads/Sanford-COA-3.pdf. The Michigan Supreme Court later overturned the Appeals Court decision, ruling that Sanford’s case could be brought back instead on a motion for relief from judgment. That motion was filed last year by various attorneys. 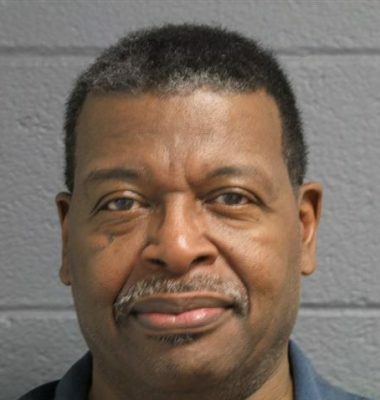 Worthy further prolonged Sanford’s incarceration by having the Michigan State Police re-investigate the case for over a year. 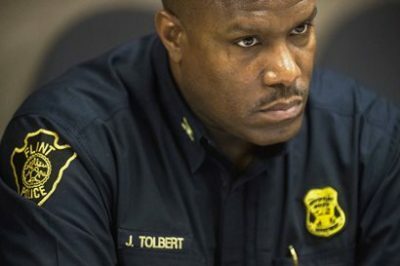 Former Detroit police investigator James Tolbert, who took Sanford confession, was fired as Flint’s police chief in 2015. She still has not taken action on the MSP’s recommendation that charges be brought against Smothers and his accomplice Earnest Davis in the Runyon Street murders, or against Detroit police detective James Tolbert, who took Sanford’s initial confession. He was fired as Chief of Police in Flint in 2015. During his interview with the MSP, Tolbert contradicted his earlier sworn testimony that Sanford drew a map of the house where the killings took place, saying instead that he himself drew the map and Sanford placed the bodies. Worthy claimed this was the single “building block” that convinced her to agree to dismiss charges against Sanford, despite the existence of forensic and ballistics evidence that showed Sanford mis-identified the guns used in the Runyon Street killings, and a detailed 24-page confession from Smothers. Smothers said he decided to quit carrying out hits after he killed Rose Cobb, wife of Detroit police Sgt. David Cobb. He said he did not like to kill women or children. Worthy mentioned nothing about investigating and charging the parties who hired Smothers to carry out the Runyon Street killings. In his March 6, 2015 confession, Smothers named the prime party as drug dealer Delano “Lano” Thomas, who is now deceased. He named a key party connected with Thomas, who was the individual who recruited him for most of the hits. During his investigation, Todd had reported a drug connection linking Smothers’ accomplice Davis with dealers in Kentucky. 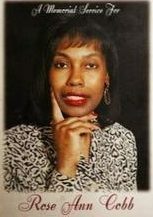 Smothers also carried out a paid hit on Rose Cobb, the wife of a police officer, leading some to speculate that he may have been connected to the DPD as well. During her press conference, Worthy also referred to alleged “perjured alibi” testimony by former Detroit Police Homicide Chief William Rice, who said Davontae was with him and Davontae’s aunt Cheryl Sanford at the time of the killings. The prosecution presented a so-called “expert” witness to testify that cell phone tower “pings” from Rice’s phone contradicted his testimony. William RIce, who testified on Sanford’s behalf, is now serving 2 – 20 years in prison on perjury charges brought by Worthy. Sanford’s attorney at the time, Kim McGinnis, challenged the expert’s credentials and said that such cell phone tower evidence has been proven unreliable. Rice is now serving a term of two to 20 years in prison on two counts of perjury in a court proceeding and one count of conducting a criminal enterprise. Worthy charged him shortly after he testified on behalf of Sanford. She also charged Cheryl Sanford, who received probation in connection with the criminal enterprise charges. During the press conference, Ken Wyniemko, who was exonerated after 10 years in prison due to a wrongful conviction, expressed his support for Sanford and his family. He is a board member of the University of Michigan Innocence Clinic, of Proving Innocence, Inc., and Commissioner with the Thomas M. Cooley Law School Innocence Project. Ken Wyniemko speaks during press conference. “I have dedicated myself to helping other men and women who have been wrongfully convicted,” he said. Wyniemko said he and Stephanie Chang are campaigning for passage of two bills in the Michigan House and Senate that would compensate such exonerees. They are HB 4536 and SB 291. The Senate enrolled bill, which includes elements of the House Bill, was approved June 9, 2016, by a wide margin. That bill is at http://voiceofdetroit.net/wp-content/uploads/2015-SEBS-0291.pdf. Advocate W.J. Rideout III called on the state’s universities to offer scholarships to Sanford, and Attorney Newman called on the public to support a GoFundMe site set up to help Davontae move forward in his new life financially. VOD will publish a link to that site after it has been located. This entry was posted in Uncategorized and tagged Beatbackthebullies, blacklivesmatter, ChargeKymWorthy, DavontaeFreeatLast, EndPoliceStatePrisonNation, FreeCharlesLewis, saveourchildren, StandUpNow, StopJuvenileLifeWithoutParole. Bookmark the permalink.